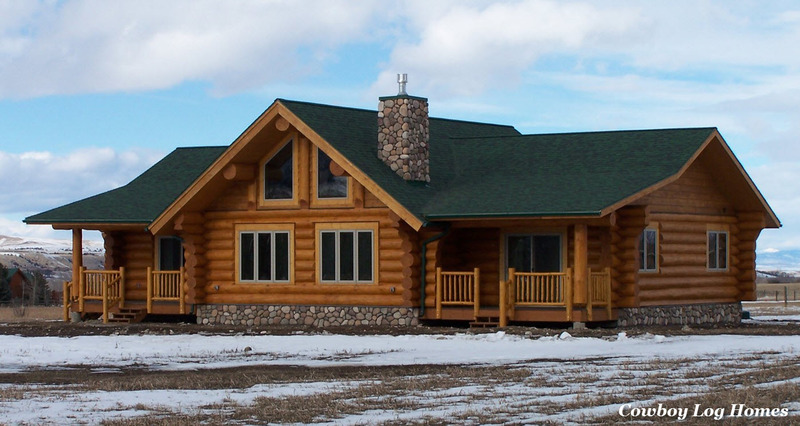 For this page, devoted to the exterior of our Bear Creek log home plan, I would like to show one last round of outside photos. 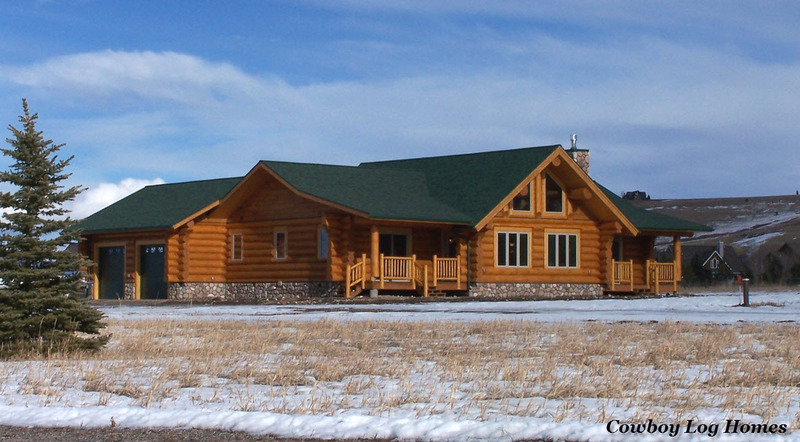 A key factor to any log home is allowing enough time from planning to completion. Log homes are not built over night. For this home of 1,736 square feet with the attached 624 square foot garage, ten and a half months have passed. Our experience with Cowboy Log homes from picking out a plan through turnkey was a wonderful experience. We were walked through and consulted through every step of the process and most importantly stayed within our budget. building their dream log home! These were taken in January. I was hoping for a snowy day or one with the sky as blue as sapphire glass, but no such luck. Just a little later afternoon sunshine was peaking through on this winter day. When looking from the right front corner of this log home the garage is not visible. Here we can wee the entire left side of the home. Here we have the rear view. And finally, this photo from the corner of the property. This log home is a dream come true for our owners. 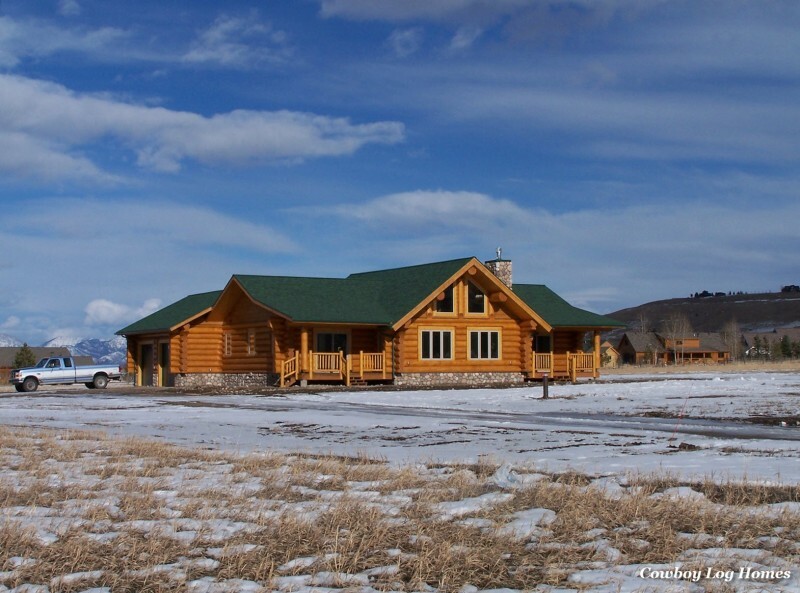 Planning and patience paid off in a lovely handcrafted log home. 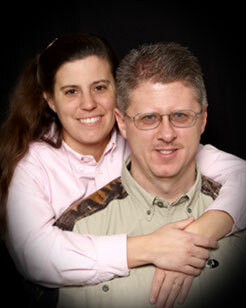 We would like to thank the Burns for sharing the build of their dream with us. And to you, dear reader… Where are your log home dreams leading you?